Here's a chart with adjectives categorized in groups. Appearance, feelings etc. I hope it's useful for some of you out there. The above downloadable printable is a great resource for high school students, elementary school students and adults at Elementary (A1) and Pre-intermediate (A2) level. 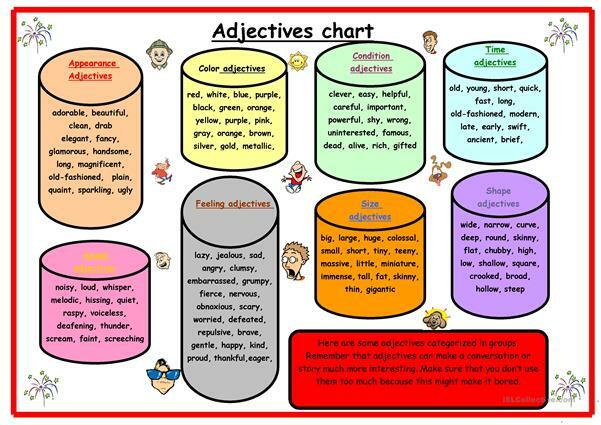 It is valuable for revising Adjectives in English.